Salt and pepper. Peanut butter and jelly. Surf and turf. There are some things that just belong together. 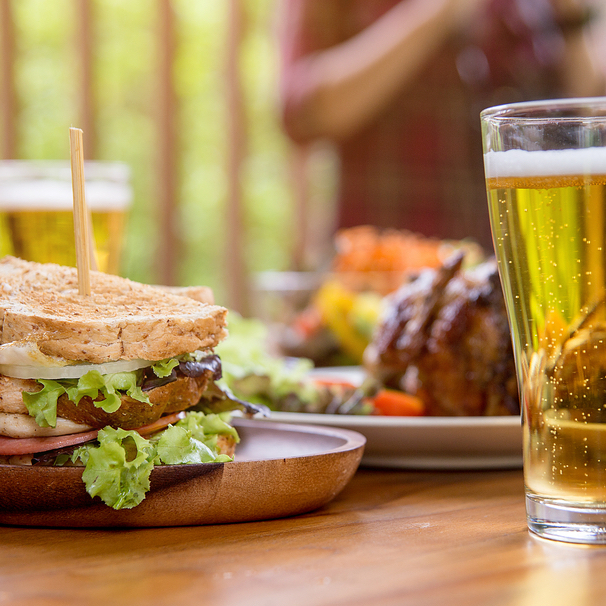 At the Half Wall, we consider food and beer to be essential pairings. 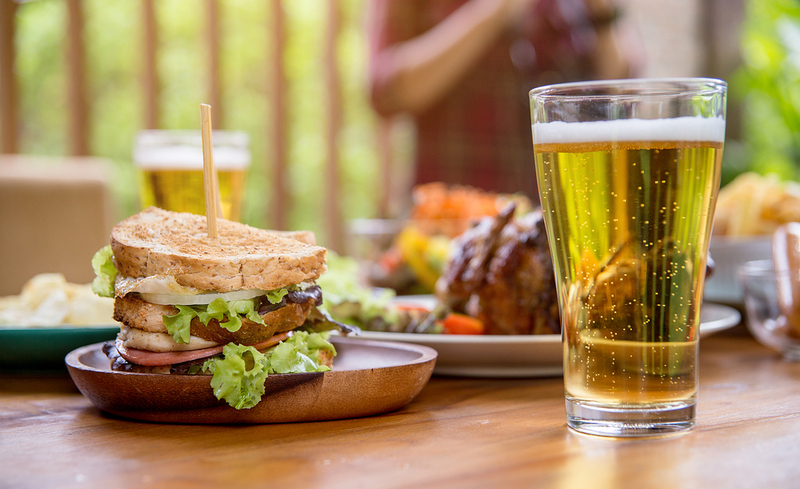 Take your taste buds on a trip to Germany by pairing our breaded and pan-fried pork loins with a crisp and refreshing German Tucher Hefeweizen. The citrus and wheat flavors of this Hefeweizen flawlessly complement the savory potatoes, braised red cabbage and flavorful mushroom gravy. Wondering what pairs well with a Guinness Glazed Meatloaf? A Guinness Draught of course! This classic Irish stout perfectly balances bitter and sweet and will bring out the rich flavors of our slow-cooked meatloaf. If you’re looking for the ultimate comfort food, this pairing is for you. Wash down this coastal classic with a beer brewed on Florida’s west coast: Jai Alai from Cigar City Brewing. This IPA’s bold hop flavor and tropical citrus notes are the perfect accompaniment to our Mahi’s sweet and savory honey-soy reduction glaze. Just like our bourbon glazed salmon, Funky Buddha’s Floridian is light but full of flavor – which is why they make such a great duo. With aromas of bananas, citrus, and cloves, this German-style Hefeweizen pairs flawlessly with our sweet and savory bourbon glaze coating a mouth-watering salmon filet. Looking for a meal with a bit of a kick? Try our chicken or shrimp curries. If you need a beer to cool the spiciness of these dishes, grab a 60-Minute IPA from Dogfish Head Brewery. Continually hopped for a pungent, citrusy hop flavor, this IPA’s crisp finish will complement the spicy flavors of our curried entrees. For a hearty pasta dish and even heartier beer, pair our shrimp or tortellini Alfredo with an Old Rasputin from North Coast Brewing Company. This rich Russian Imperial Stout – along with our cheese filled tortellini and homemade Alfredo sauce – will warm your insides with intense flavors. Is your mouth watering yet? Come in to the Half Wall to try out one of these delicious meals for yourself. Plus, check out the menus at all of our locations here.